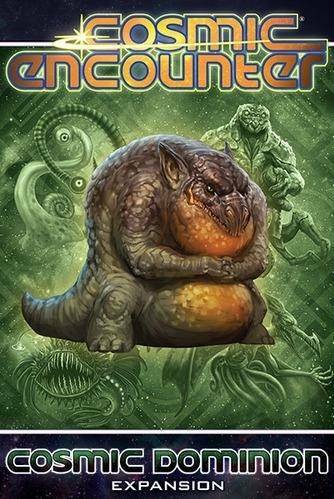 Thirty new aliens blast onto your tabletop in Cosmic Dominion, a fan-designed expansion for Cosmic Encounter! Chock-full of fan-favorite aliens, wacky new powers and flares, and a brand-new reward deck, Cosmic Dominion will have you and your rivals competing to determine once and for all who rules the galaxy. Cosmic Dominion includes four new variants to change up the classic Cosmic Encounter experience, while new ship markers allow players to create their very own variants.